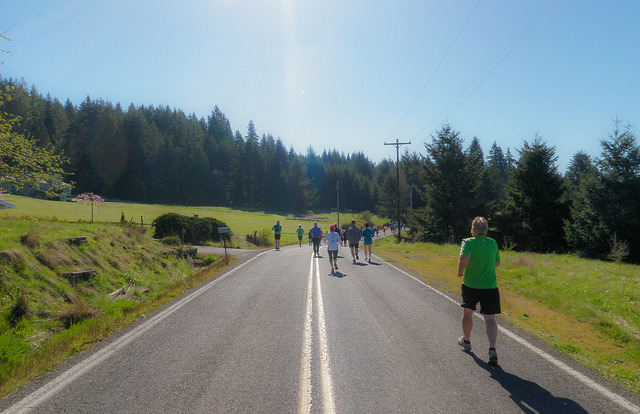 My most recent event (last Sunday) was the Vernonia Half Marathon & Marathon near Portland, Oregon. 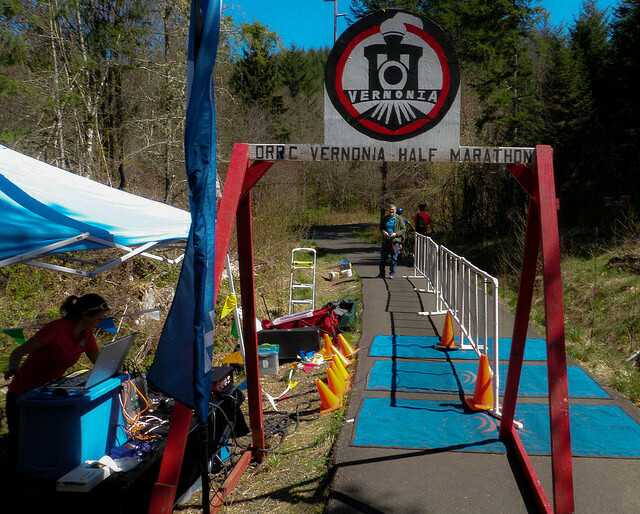 The race is held on the Banks-Vernonia State Trail, Oregon’s first Rails to Trails project. I’ve been interested in the Banks-Vernonia Trail for the past twenty years – ever since becoming involved in the OC&E and Woods Line State Trail in Klamath Falls, Oregon (Oregon’s second Rails to Trails project). It was nice to final get in a run on this trail. I didn’t think it’d be a good idea to proceed with a marathon without a few twenty mile runs under my belt. (Keep in mind I’ve done about twenty marathons previously so I didn’t feel too bad about the downgrade). In the past I’ve always tolerated my longer runs well – and even though they were taking my forever I enjoyed them. This time something has changed. Is it attributable to aging or is my atrial fibrillation becoming less stable? I dunno. I have an routine appointment with my cardiologist coming up so I guess I’ll find out. Anyway – as far as the race was concerned overall it was a nice event. 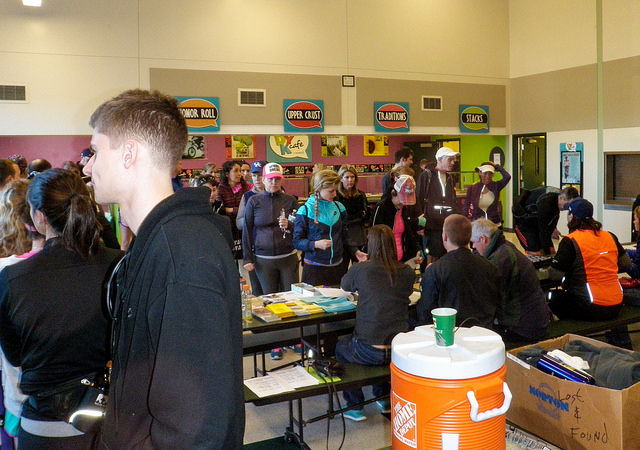 The packet pick-up was in Banks, the runners were bussed to Vernonia and ran either to Banks (full marathon) or half way to Banks (1/2 marathon) and were bussed to Banks. There were a few problems. They had packet pick-up the night before but also the morning of the race. Since there are no motels near the packet pick-up most people decided to pick up the packets right before the race. Evidently there were problems with the busses as well so we got started a little late – like at 1000AM instead of 930AM. That’s the latest starting marathon I’ve ever been involved with and I imagine it became a little hot for the slow people running the full marathon. 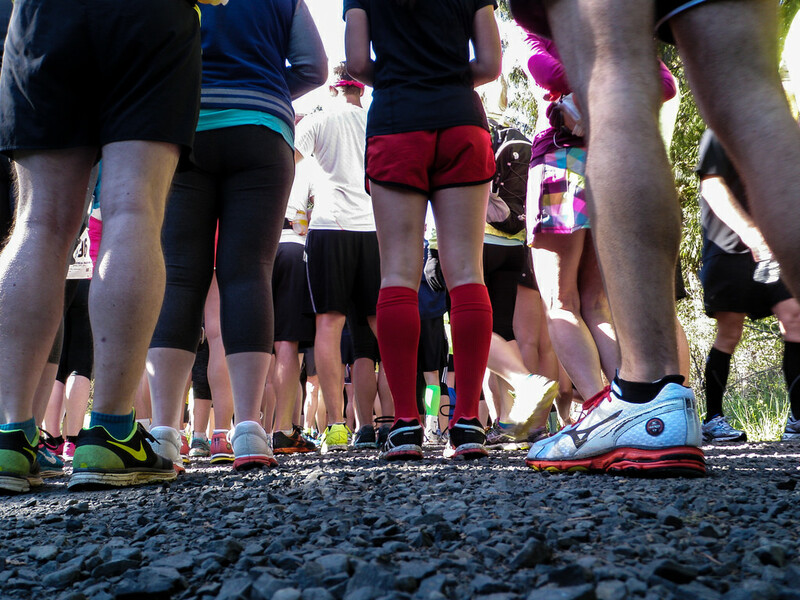 The half marathon was nearly all in the shade – but the full marathon had several miles near the end with full sun. The race director sent a great email accepting responsibility for the late start and promising to fix the problem for next year’s event. The early start people started on time (830AM) and in retrospect I think I should’ve opted for the early start – I’m certainly slow enough to have been early start eligible! But honestly . . . I hate doing early starts – it’s discouraging to me to be passed by all those fast people – I’d rather start in the back and stay in the back. The trail was delightful – it is a paved rail trail that primarily goes through verdant forests. Green trees, moss, ferns – nothing like the OC&E Trail (Klamath Falls) or the Bizz Johnson Trail (Susanville, California) which are both in much drier, browner ecosystems. As far as the course was concerned the last four miles or so of the half marathon were a consistent uphill grind – relentless. Not steep but relentless. At the half way point of the full marathon the course changes to downhill for most of the return to Banks. I knew it was a bad sign when for the last three miles of the race I encountered a steady flow of bicyclists whizzing by in the opposite direction – none of whom were pedaling. The race director emailed that he was considering starting the half marathon at the current half marathon finish and having a common finish line for both races. Yes – sign me up – that would be a lot more fun! I had a slow day and felt poor during the final three or four miles of climbing. I have been finding that if I take a carb gel every 45-60 minutes during a long run I do well but if I try to run without calories I bonk. 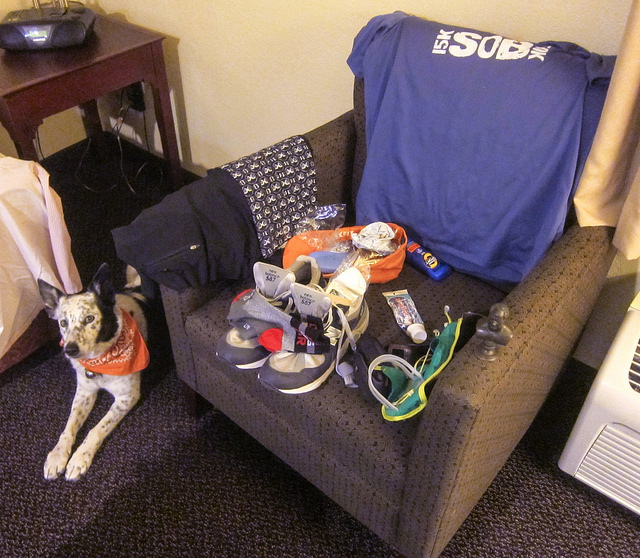 I read the pre-race instructions the night before the race and saw that there was going to be carb gels at the water stations so I FOOLISHLY decided not to carry and carb gels with me. That was a huge mistake. There were zero carb gels at any of the water stations. The last water station wasn’t even manned! I think there may have been carb gels for the faster people – I saw several empty Hammergels packets along the course – but I should know better. Never count on there being any gels left by the time the back of the pack runners like me arrive. Actually I would bet that if there were carb gels the early start people got all of them – one more reason to choose the early start. But seriously – that is completely my own fault. I should know by now – I’ve only done about thirty or forty of these things. I brought plenty of gels with me and was just too lazy or cheap to stick them in my pocket. Never again will I make this mistake – the slow runner needs to be more self reliant than the fast runner – that’s the truth. Once Margo and I finished the Pear Blossom ten miler at the very back of the pack (not because we were slow – we had locked our keys in the car and gotten to the race a half hour late) and they were completely out of finish line water by then – ouch! If anybody is reading this race report scoping out the race for future consideration I would like to go on record as highly recommending this event. Yes – there were frustrating issues for the 2014 race but I think they will be corrected by 2015. The course is lovely and the people are terrific. 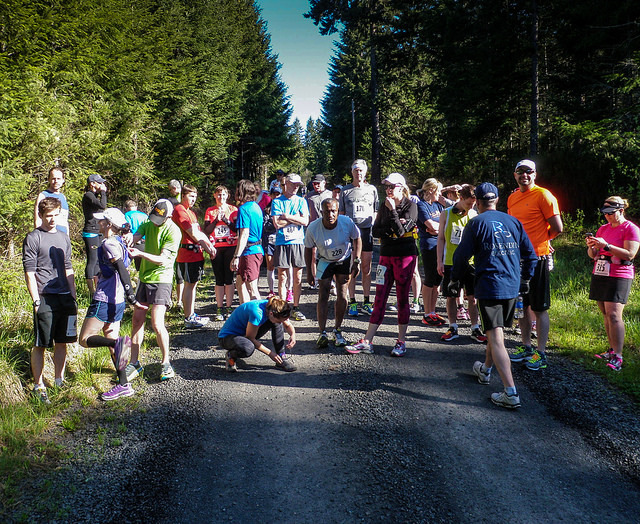 By the way – my next event is the SOB Trail Run at Mount Ashland near Ashland, Oregon. I’m already signed up for the 15K. There is also a 50K and a 50M. 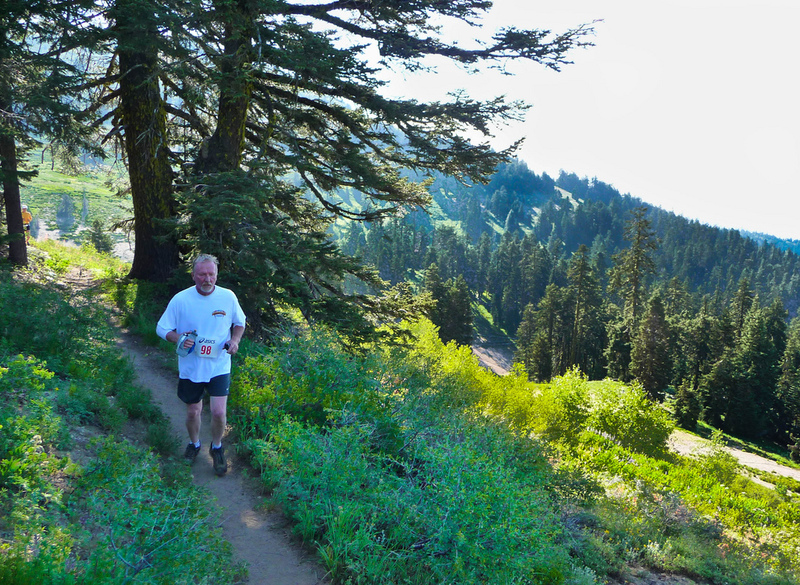 SOB stands for “Siskiyou Outback” and the race follows the Pacific Crest Trail at certain points. More later.